It might be fun to pick out those color swatches at the store, but they’re not a reliable way to match color to existing interior paint–even if you know you’re purchasing the same color as before. The printing method used to create these swatches is not the same type of color process used to mix actual paint, so getting an accurate idea of what your color will look like can be a challenge. 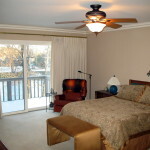 You’ll want to rely on a competent Saline MI, interior painter to do the job correctly. Interior paint color changes as it ages. Paint applied a year ago will not look the same when reapplied or touched up, even if you’re using leftovers from the same can you’ve been saving in the basement. All colored objects change over time due to weather, exposure to UV light and air conditions, and how the surface is treated. Is it in the kitchen where it’s wiped down with a rag every so often? Is it in the basement where it’s dark and humid? Metamerism is when the same color can look like a completely different color in different light conditions. This complicates an interior painter’s job even more when attempting to match paint color in your home. Eggshell? Flat? Satin? Sheen dramatically affects the color of paint. It can trick the eye into seeing a slightly brighter or richer version of a color. 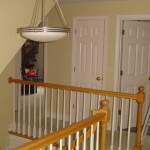 Make sure your interior painting professional does a sample brushout of all the different types of finishes. Tree City Painting always applies a sample brushout of all your finish paint drawn from existing formulas, computer spectrophotometer color matches, or color card selections. 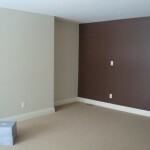 All paint colors are approved for coverage and appearance by you prior to the start of the finish painting. 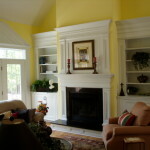 If you’re seeking a color matching professional to help you with interior painting please contact Gayle.